Some commentators interpret the “pearls” in the teacher’s comment as the deeper spiritual meanings and the “twine of munj” as the coarse theme of physical love. In other words, they say, you would, if you care to, find profound meanings beneath the superficial words of the story. However, others interpret the comment to mean that such beautiful thoughts and powerful images are expressed in a language (Punjabi) that was considered coarse or not quite as sophisticated at the time. Having myself sped through the book I tend to agree with both the views. (I must confess, however, that, Punjabi not being my native tongue, it was not easy for me to fully understand the text. I had to rely mostly on the Urdu translation provided alongside the Punjabi text. )Shorn of all the embellishments and detail — the devil, in this case, though, literally lies in the embellishments and the detail — here is the story for those who may not have read it or heard it before.The events of the story are supposed to have occurred sometime in the middle of the 15th century. Ranjha (his given name was Deedho. Ranjha was his clan) was born in Takht Hazara, a town in district Sargodha, to a local landlord. He was the youngest of eight sons, and his father’s favorite. While others went about their daily chores Ranjha whiled away his time playing the flute that he loved so much. He grew long hair — longer than men usually wore those days — and was a very handsome young lad.When their father died, a dispute arose between Ranjha and his brothers over the distribution of land. The brothers had apportioned the best land to themselves and gave Ranjha only the barren land. Ranjha, after a heated argument with his brothers, left home in protest. He headed aimlessly southward along the River Chenab until he reached somewhere near the present day Jhang where the Sayyal tribe ruled.An incident that stands out during this part of the story, which has been described in great detail by Waris Shah, is when Ranjha stays in a village mosque for the night. In the quiet of the night, tired and distressed that he was, Ranjha starts playing the flute. The village folks, when they hear the poignant notes are attracted to the mosque. The maulvi of the village also turns up, not to listen to the flute, though, but to scold Ranjha for desecrating the mosque. The maulvi denounces Ranjha for playing the flute in the mosque and also for his long-haired looks, and tells him to leave the mosque. Ranjha is not intimidated and replies:“You and your kind, with your beards, try to pretend to be saints, but your actions are that of the devil. You do evil deeds inside the mosques and then mount the mimbar (rostrum) and quote scriptures to others …”(In fact, Ranjha is more explicit than what I have been able to paraphrase. )The back and forth denunciations between the maulvi and Ra njha continue for some time. Interestingly, the village folks don’t seem to share the maulvi’s enthusiasm in denouncing Ranjha. They simply watch the scene as silent spectators. (Fortunately for Ranjha the blasphemy law was not in vogue then.) Anyway, Ranjha spends the night in the mosque and leaves early next morning. After a few days he ends up in Jhang.The chief of Jhang at the time was one Chuchak Sayyal who had an extraordinarily beautiful and a headstrong daughter named Heer. 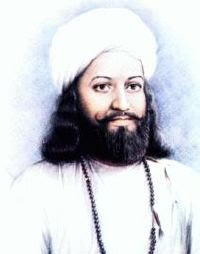 Waris Shah describes her beauty and physical attributes, literally from head to toe, with the usual poetical exaggeration. Some of the analogies and metaphors he uses may sound a bit unfamiliar and even strange to the present day readers. For example, Waris Shah says:“Can any poet sufficiently praise Heer’s beauty? Her face shines like the full moon. Her eyes are like the narcissus flower. Her eyebrows are like a Lahori bow (I didn’t know that Lahore was ever known for making bows). The kohl (kajal) in the corner of her eyes suggests as if the armies of Punjab have invaded Hind (India). Her lips are like red rubies. Her chin is like a selected apple from the King’s orchard. Her nose is like the pointed end of the sword of Hussain (!). Her teeth are like the white petals of champa flower and sparkle like pearls. She is tall and straight like a cypress in the garden of Paradise. Her neck is like that of a koonj (a species of cranes). Her hands are smooth and soft like a chinar leaf (similar to maple leaf) and her fingers like lobiay ki phallian (pods of beans, which are longer than most other pods). 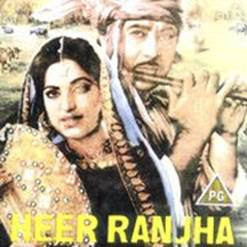 In short, her features are like a beautifully calligraphed book.”Heer, when she meets Ranjha, is instantly taken by his wild and romantic looks and the soulful tunes of his flute. She persuades her parents to hire Ranjha as a cowherd for their cattle. Ranjha is hired, and thus kindles a blazing romance between Heer and Ranjha that lasts for several years, and has since been recounted and sung for almost 250 years. The two lovers often meet in the forestland along the river (known as bela in Punjabi) where Ranjha takes the cattle to graze. While the cattles graze Ranjha plays his flute. And Heer listens by his side. The days and months pass in total bliss — and very fast.Heer’s uncle, Kaido, becomes suspicious and starts spying on her. He gathers sufficient evidence to report to the matter to her parents. The parents admonish Heer on her conduct and warn her of terrible consequences. 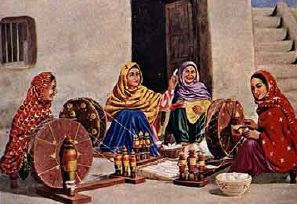 When Heer is not deterred they call in the village Qazi (a muslim judge who decides disputes between people in the light of Sharia and also solemnizes marriages) to counsel her.The Qazi tells her mildly that good girls, when they come out of their home, keep their gaze lowered; that they always keep their families’ honor uppermost; that they better spend their time in tiranjans (places where village women gather to spin yarn on spinning wheels and chat). He also reminds her that, being from a higher caste and a renowned family, it is unbecoming of her to mingle with family servants like Ranjha. Heer is not convinced and tells the Qazi:“You cannot wean away an addict from the drug. It is not possible for me to walk away from Ranjha. If it is our destiny to be together then who, other than God, can change it?” And then she adds rather philosophically: “True love is like a mark that a hot iron burns on to the skin or like a spot on a mango fruit. They never go away.”Seeing that Heer is admant the Qazi threatens her with a fatwa of death. But Heer remains unshakeable.Exasperated, Heer’s parents decide to marry her to a man named Saida Khairra from village Rangpur (Muzaffargarrh district). Nikah ceremony is arranged and the Qazi is invited to perform the ceremony. As is customary, the Qazi first asks the bridegroom if he would accept Heer as his wife, which, of course, the bridegroom readily does. Then the Qazi asks Heer and her answer is a loud No. When the Qazi insists for an affirmative answer, Heer says forcefully:“My nikah was already made with Ranjha in heavens by no less a person than the Prophet himself, and was blessed by God and witnessed by the four angels, Jibraeel, Mikael, Izarael and Israfeel . How can you dissolve my first nikah and marry me a second time to a stranger? How is that permissible? “.The Qazi is dumbfounded and angry, and tells Heer to shut up or or “he will have her lashed with the whip of Sharia”, and goes ahead and solemnizes the marriage, anyway. After the ceremony Heer, in tears, is bundled off to Rangpur amidst great pomp and celebrations.Ranjha, alone and heartbroken, takes to the jungle and joins a group of jogis (yogis). Dressed like a jogi, with ash rubbed on his body, wearing large earrings and carrying a begging bowl, he goes from house to house and village to village seeking alms — and also trying to find the whereabouts of Heer. Meanwhile, Heer languishes in Rangpur, pining for Ranjha.Waris Shah uses a lot of ink and a lot of pages in describing the heartache and anguish that both Heer and Ranjha suffer during this period. Amrita Pritam (died 2005), a great Punjabi poet and novelist refers to this pain and anguish, in a different context, though, in her memorable poem, when she addresses Waris Shah in these words:Ik roi si dhee Punjab di,Toon likh likh maare vaenAj lakkhan dheeyan rondiyan,Tainu Waris Shah noon kehnWhen one daughter of the Punjab weptYou penned a thousand dirges of lamentToday a hundred thousand cry out to youTo make another statementEventually, Ranjha finds Heer’s village and Heer also comes to know through her friends that the young handsome jogi in town was no one else but Ranjha. The two meet and, with the help of Heer’s friends and her sister-in-law, Sehti, manage to elope one night.The Khairras follow them and capture them in the territory of one Raja Adli (a raja, not to be confused with Ranjha of the story, is a ruler of a territory or state). The lovers are brought before the raja. He asks the local Qazi to decide the case according to the Muslim law. The Qazi, without much ado, declares that Heer belongs to Saida Khairra, her “lawful” husband.Heer and Ranjha are both devastated, but helpless.When Heer is being forcibly taken back by the Khairras to Rangpur a forlorn Ranjha, still dressed as a jogi, raises his hands skywards and begs loudly:“Oh, Lord, you are also Qahar and Jabbar. Destroy this town and these cruel people so that justice may be done.”Coincidentally, a huge fire erupts in a part of the town. The village folks as well as the raja, being superstitious, are convinced that the fire was the result of the jogi’s prayer and might consume the whole town. The raja immediately proceeds to undo the “wrong” administered by the Qazi, stops the Khairras from taking Heer away and holds court to hear the case anew. After listening to all the sides he decides to allow Heer to go with Ranjha.Joyful, Heer and Ranjha leave for Jhang Sayal expecting to live happily thereafter. However, the Sayyals, believing their honor was soiled by the unconventional behavior of Heer, conspire to “cleanse” their name of this ugly stain. While appearing to welcome the couple they suggest that Ranjha go home and bring a barat to take Heer as a wife in a proper conventional manner. Ranjha happily agrees and goes back to his brothers in Takht Hazara, who by now have forgotten their old quarrel and are also remorseful. He informs them of his planned marriage. Preparations begin for taking a colorful barat to Jhang and bring Heer home.Meanwhile the Sayals quietly poison Heer. She dies. A messenger is sent to Takht Hazara to inform Ranjha of the unexpected and sudden death of Heer. On hearing the news Ranjha collapses and dies there and then. Thus ended the lives of Heer and Ranjha. But they continue to live in the hearts and hearths of the people across Punjab and elsewhere — and so does Warish Shah. Allama Haq Nawaz Jhangvi is a Great Personaility of Jhang. He was the founder of Sipah-e-sahaba Pakistan.Hazrat Maulana Haq Nawaz Jhangvi was born in 1954 in the town of Jhang. After completing his primary education in Arabic and Theology, he left for Multan where he studied in the renowned Islamic University, Khair-ul-Madaris. He qualified as an Islamic Scholar/Alim in 1972 from this university at the tender age of 19. After which he once more returned to his home town, Jhang.Maulana burdened his then feeble shoulders with the arduous task of patronizing that enviable organization, "Sipah-e-Sahabah (r.a)" and like a true soldier, he used all his resources for the dignity and honor of the Sahabah (Radiallahu Anhu).Although previously many Ulama had directed their resources to this worthy cause, their efforts are pale in comparison to the enviable dedication of Maulana Haq Nawaz Jhangvi. Maulana had breathed new life into the Sipah-e-Sahabah (r.a) and fought tooth and nail against the Shias, till alas, he was martyred this holy cause.Maulana argued that we are so sensitive regarding the dignity and honor of our near and dear ones, but when derogatory remarks are passed regarding Nabi Sallallaho alaihe wasallam, his family members and the fruits of his 23 years labor and toil. i.e. the Sahabah-e-Karam (Radiallahu Anhu), we cannot care less.Jhang is politically and socially Shia-orientated and it has passed through Shia leadership for several decades, but how true is the saying:"Every Firaun (Pharaoh) will meet his Moosa".Allah Ta'ala created a Moosa in this very town, to defeat the Shiites Fiaruns. Such was the courage and bravery of this Moosa, that he had struck thunderous blows at the foundation of the currents of history in an opposite direction.Since the early centuries, the Ulama had declared the Shias are non-Muslims. Ulama such as Ibn Taimiyah, and more recently Shah Waliullah (Rahmatullah alaihe) had authored books clearly indicating that the Shia were Kuffar, but Maulana Haq Nawaz Jhangvi's style was unique. He had boldly publicized these sentiments and declared the Shia to be the worst brand of Kuffar. He held discourse for all people in which he propagated the belief of the Ahl-e-Sunnat Wal Jama'at.Maulana made his presence known and had struck fear in the marrow of the bones of the Shia leader. The Shias on the other hand realized the threat Maulana posed and consequently they conspired against him. In this regard Maulana had said:"The Shias have become successful in receiving support from many countries and they will obliterate me from their path at any time".The following lines were written in the editorial of the Rajab 1410 A.H. issue of Ihqaq-al-Haq, a Shia journal. "An organ of the Deobandi body of Khatm-e-Nabuwwat, the Sipah-e-Sahabah (r.a), have been on a full scale attack against the Shias. Apparently the leader of this group is a person by the name of Haq Nawaz. We asked the secretary general of Jamiat-ul-Ulama Pakistan, Maulana Fazl-ur-Rehman. "Is it the object of the Shari'ah which you wish to institute in Pakistan to cause dispute and strife and raise slogans that the Shia are Kuffar as a prominent member of your Jamiat.He replied:"Haq Nawaz, is doing? "At the point it is interesting to note that when the Shias speak in vulgar and derogatory tones regarding the Sahabah (Radiallahu Anhu), then they do not consider it to be a cause of a dispute and stifle, but when a lover fights for the respect and dignity of his beloved, then not only is he verbally abused, but murdered too.The oppression of the Shias upon the Muslims is no secret. Their portraying themselves to be oppressed and abused and receiving the sympathy of unwary persons and always been their showed tactics. Never should they think for a moment that their play will be effective in annihilating the true Muslims, the Ahl-e-Sunnat Wal Jama'at. Islam did not sway by the oppression of the Fatimads of Egypt nor by the movements of Ibn Saba and Hassan bin Saba, and nor will it be defeated by the Shias.The blood of Maulana Haq Nawaz Jhangvi Shaheed (r.t.a) will not be forgotten for this cause. It is not farfetched that Allah may put an end to this group as He had terminally crippled the Qadyani's by the death of Maulana Shamsuddin Shaheed (r.t.a).Maulana Haq Nawaz Jhangvi was on his way for Isha Salat when unknown terrorist fired six shots in their chest. They passed away immediately.May Allah grant him with Heaven. Ameen.Allah Ta'ala is the guardian of Islam and He knows how to protect Islam. If he can use birds to annihilate his enemy, why then can He not protect His religion with one of His feeble servants.At 8:00 pm on Thursday night, 26 Rajab 1410 A.H., conforming to the 22 February 1990, the stalwart and founder of "Sipah-e-Sahabah (r.a)", the Vice President of Jamiat-ul-Ulama Punjab, Principal of Jamia Mehmoodia, member of the United Ulama Council and Sunni Ulama Front, mouthpiece and orator of the Sahabah (Radiallahu Anhu), Hazrat Maulana Haq Nawaz Jhangvi (Rahmatullah Alaye) was martyred. "To Allah do We belong to Him is our return". Jhang city is the administrative centre of Jhang tehsil (a subdivision of the district), the tehsil itself is divided into 55 Union Councils. 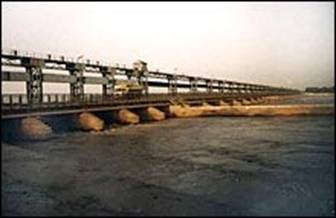 Jhang is a fast developing area of Punjab Province. Its local community is very hardworking and education is picking up. This is a mixed community where most population is uneducated but we can hope that the future generations are blessed with higher and masters level education. Some well renowned names from Jhang who have achieved veneration through education and higher qualification are: Mr. Justice (R) Manzoor Hussain Sial the former ombudsman of Punjab. Mr. Talib Hussain Sial J.S. / D.G. (Admin), Awan-e-Sadar; Rai Riaz Hussain Director, PID current Ambassador to India; Dr. Noor Khan Lakhnana Prof. of Pathology, PIMS; Prof. Dr. M. Rafiq Afzal Dean, Faculty of Social Sciences, QAU; Dr. Muhammad Sharif, Chief Scientist (Rtd) PARC. Institutes in Jhang have produced some brilliant students have secured positions in Faisalabad board in Metric and Higher Secondary Education. Unfortunately there is No University in District Jhang. The biggest college in Jhang is the Govt. Degree College, Jhang and the biggest school is Govt. Islamia High School, Jhang. The Government institutions here need to be equipped with modern technological facilities and labs to prepare for the future challenges these young minds of jhang will face in future. Business activities in District Jhang have picked up considerably in the recent past. Businesses have expereinced an increase in return and Businessmen have found some good investing opportunities. Jhang is advantageous in for various type of businesses. Land is cheap, skilled labour is cheap and opportunities are wide open. Here you may find milk plants and sugar mills, textile mills etc. Shakarganj Mills Ltd, Ramzan Sugar Mill, Lalian Sugar Mill. Chiniot is at present the Sub-divisional Headquarters of Chiniot Tehsil of Jhang District in Faisalabad Division of the Punjab. Specimens of wood-carving include decorated doors, carved and foliated tracery for balconies and window frames. Inlay of brass is also wrought in Shisham wood of dark hue which provides an excellent base for the contrast of brass. All varieties of furniture of fine quality and requisite design are undertaken at Chiniot. Carpentry like masonry is an hereditary profession there. It has evolved into a fine art which is second to none in the world. For any feedback or submission of your contribution please feel free to contact us at our cell No.s or email. Thank You!